Recently I've come across two songs from various sources that have our friend from Toronto, Drake, on them. These previously released tracks were able to somehow fly under my radar, but it was only a matter of time. 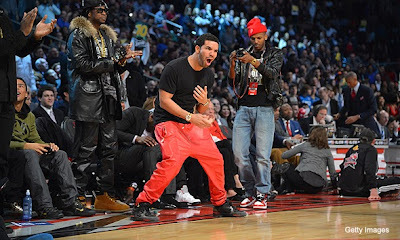 Both feature a late appearance from Drake, who cools the songs out right at the point where they may be getting too heavy. Listen to these the whole way through.